I was surprised to see several emails in the past few months asking me about the Motor Carrier Road Atlas from Rand McNally. It seems there are a lot of new drivers that don’t want to hand over the $79 it retails for, so they were hoping I’d say they could get by with the little cheap road atlas for about $6. 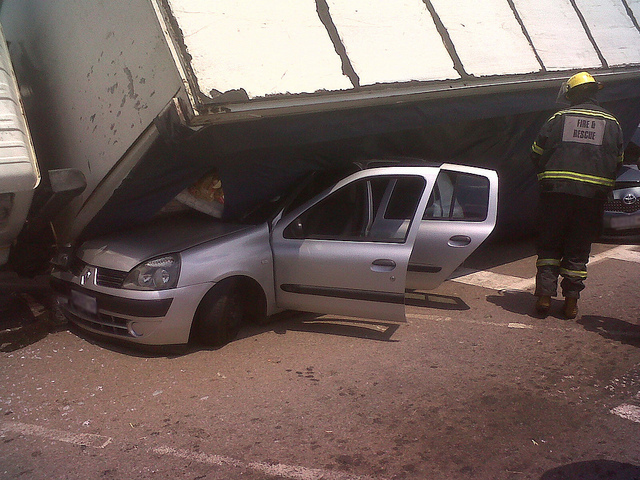 Unfortunately, a trucker can get in a lot of trouble just for being on the wrong road. So, in my humble opinion, the Motor Carrier Road Atlas is the only way to go for truckers. The good news is, you don’t have to pay full retail at a truck stop (and that goes for just about everything they sell.) You can get one online for about half that. Don’t you just love the internet? You can find everything online, and that includes a cheap road atlas for truckers. If you are on the road, Wal-Mart is a good choice. But if you are online, Amazon is the best choice because they are the cheapest and they deliver fast. Plus, they have a lot of choices. You can get the laminated deluxe version for only $53. And last years’ model is even cheaper. Plus, they have the non-laminated one for about $14 including shipping. And again, they also have last years’ version for a little less. You won’t beat that anywhere- the price or the choices. 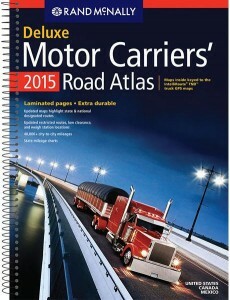 Rand McNally Motor Carriers’ Road Atlas is the only choice for truckers. A long time ago, I was one of those drivers who thought he could get by with a standard road atlas. I found myself on a 2-lane highway in Western Colorado late one night. After about 100 miles, I saw a sign that said no tractor trailers. I was only about 50 miles to my stop. So do I turn around and go back 100 miles, then around a different way for another 100 or so? Or do I take a chance and keep going? Well, I kept going. I got lucky and made it without getting pulled over. And there were a few very tight turns that I struggled through. But I made it. The Motor Carrier Road Atlas shows all the truck routes and weigh stations. This is super important information for truckers. If you are just starting out, you may think you don’t need to know where all the weigh stations are, but you do, believe me. I don’t care how safety conscious you are, there will come a day when you need to go around the scales. Been there, done that more times than I care to admit. 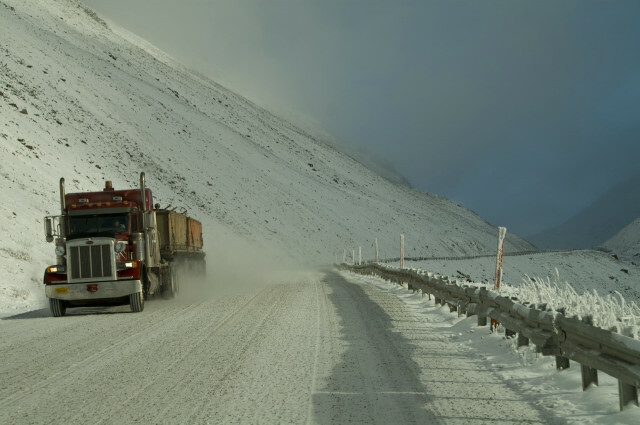 The most important thing is- a truck driver absolutely needs to know which roads are truck routes and which aren’t. The Motor Carriers Atlas shows all that with highlighted roads. So, the bottom-line is- the Rand McNally Motor Carriers’ Road Atlas is the best, and a trucker shouldn’t hit the road without one. Unless of course, you have a Rand McNally Motor Carriers’ GPS. More and more truckers are using GPS devices these days. 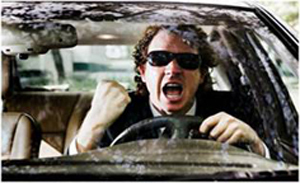 Just like the road atlas’s, you absolutely have to have the motor carriers GPS, and not just any old cheap GPS. Again, Amazon is the best choice for a cheap one of those too. I would recommend getting the laminated as you can write on it with a dry erase marker, and they marks come off easily with a little water and paper towel. Some other plus factors to the Road Atlas are: scale house locations, weight and measures info, bridge law spacings, hatzmat info, DOT numbers, DOT weather numbers, city to city estimated mileages, and so on. If you take care of it, it will last about 2 years, in which you should then get another copy not only for damages over time, but it’s also updated maps. Excellent points Chris. I agree- get the laminated road atlas, not only because of what you said, but also because it will last a lot longer. Those paper ones get ripped up after just a few weeks.